Heaton-Wright is a family-run company delivering high-quality tree surgery in Winchester and landscaping services in Romsey, Hampshire for over 20 years. We are proud of the reputation we have gained as a specialist tree surgeon, and well-known for our professional and courteous approach to all aspects of cutting, trimming and removal. 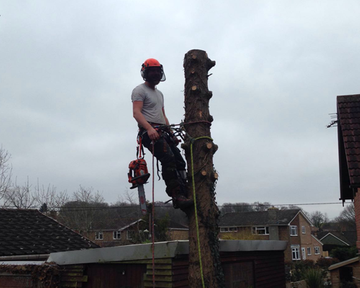 Should you require a tree surgeon in Winchester, we can help. For a FREE quote from our experienced tree doctor, don't hesitate to contact us today on 01962 601 010 or 07759 921 824. We undertake all aspects of domestic tree services from tree removal, dead wooding and reductions, through to hedge trimming and stump grinding. 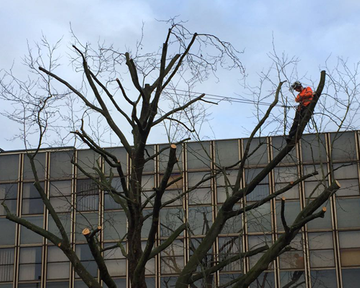 As a highly qualified and experienced company, we offer a full range of commercial services from tree surgery through to site clearance and chemical spraying. Our operatives work to a high professional standard for Winchester tree care. Please visit our gallery to view examples of some of our previous assignments. H-W Tree Surgeons are a Winchester tree surgeon and landscaping company with a passion for tree care. We hold certifications in all aspects of tree surgery, chainsaw use, chemical spraying, waste management and safety, with the skills to complete any size or scale of work, on any type of tree. Our fully qualified Tree Surgeons and Groundsmen work to a high professional standard with a polite and positive attitude towards both our work and our clients. We employ good aboricultural practice at all times, and work to superior levels of client care, whether we are pruning trees, felling, or removing a tree stump, we have the best interests of our customers at heart. Highly-experienced in adhering to Tree Preservation Orders, we have recently added tree surveying to our portfolio, so we are able to fully assess any problematic trees on your behalf, and provide you with a detailed quote for the work required, including a complete breakdown of what this involves. We also carry out all aspects of landscaping, so are able to offer a full service to our clients from small assignments to ongoing maintenance programs, and more detailed levels of landscaping, as well as our expert service as a tree surgeon in Winchester. Simply contact us today to find out more about us and the services we provide, or call us on 01962 601 010 or 07759 921 824. H-W Tree Surgeons are a family run business, owned and managed by Paul & Marie Heaton-Wright. Paul studied arboriculture at Sparsholt College, Winchester and has been involved with tree surgery for over twenty years. We are based in Hampshire, but also cover neighbouring counties such as Dorset, Wiltshire & Surrey. 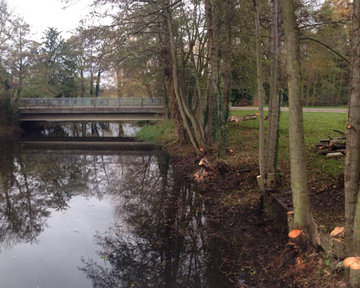 All of our Winchester tree surgeons are fully trained and hold all relevant qualifications from NPTC and CSCS. We have £10 million public liability insurance and are a CHAS accredited company. We also maintain a profile on Checkatrade to allow our customers to leave honest and impartial feedback. We possess all relevant HSE policies, emergency first aid certificates and complete risk and method statements as required. We are registered with the Environment Agency as licensed waste carriers. As a trusted and reliable company your trees are in safe hands with us.